New Server Interlude x7 - April 5! It's time to enjoy Golden Age chronicles on the modern engine! Almost a year has passed since the announcement and the launch of our own product - Interlude Final. We have overcome a lot this year: a successful opening, low-rates and mid-rates, more than 5 major updates, kilometers of code, millions of characters on the forum, hours of videoclips. But the most important thing is that we passed all this together with you! And before we get to the essence of this topic, we, our whole team, want to say thank you to everyone. We closely followed your reaction, emotions, game and tried to apply this experience to improve our product and project as a whole. We sincerely believe that all this has not gone unnoticed. New Interlude Final x7 server is based on update 1.5 base. Having brought it to its logical conclusion, we intend to add a few more large-scale changes which we will discuss below. What will be added to 1.5 patch? The first and most important change is the game client. Perhaps it was the High-Five client which was warmly welcomed as part of our upgrade. Yes, the decision was correct, but it requires further development because the modern client engine satisfies both the players and the manufacturers of hardware/drivers with higher quality. Without a doubt, this decision will entail a lot of tests and fixes, and therefore we believe it is important to explain to you the necessity of such a move. The old client was developed for relevant at a time processors (and hardware in general), which had fewer cores. As many of you know, today's processors increase the number of cores (streams), but often reduce their clock speed compared to older processors that were relevant at the time of release of most versions of the clients/games. So, roughly speaking, Core 2 Duo @ 3.16 GHz (2 cores) of 2006 will be better than Intel Core i5-8400 @ 2.8GHz (6 cores) of 2017 for older game clients. This is not the only reason for the low performance of old clients on modern computers, because a whole set of factors is responsible for this: motherboard, processor, RAM, disk (write/read speed). We have made a new client for Interlude Final servers based on Grand Crusade \ Classic 2.0. In-game functionality - character statistics, interaction with the browser inside the game, notification systems, built-in manuals and guides for specifically your profession or server as a whole. Tired of lags in ToI? Haven't seen Baium with с 120 60 fps animation? Does the CPU load by 50% or more infuriate you when starting 1 box? We also use modern technology for processing client-server data packets, which allows us to reduce the response time from the server. We successfully tested it on our autumn server and there was impressive result. We were inspired by the self-organization of players on Gracia Final x7, and we believe that the system of instance zones helps to create new communities and groups, and also allows solo players to find interesting content for themselves, keep up with the leaders and have a good time. In this regard, 2 Kamaloka will be waiting for you on the new server: Labyrinth of the Abyss and Hall of the Abyss with a modified drop that is consistent with the Interlude rules, as well as the Zaken instance. In order to preserve the interests of clans and big / mid-war players, it would be a huge mistake to remove or change an ordinary Zaken. However, for many players, Zaken is something even more mysterious than Baium, Antharas or Valakas. We decided to introduce 2 alternative Zaken (levels 60 and 78), which will be available to players in the form of instance zones. This instance will not give you a real earring, but you can get an analogue, as well as a nice drop in accordance with the level of Zaken you are hunting. In the 1.5 announcement we mentioned that it would also be possible to wear cloaks together with improved S-grade sets (that are being unpacked to a certain class). In the new patch, we will improve on the cloak system and, in addition to the alternative earring, you will also have possibility to complete the quest for a special Zaken cloak. It does not provide additional bonuses, but "Looking good, feeling good"
The two previous Interlude Final servers showed that most players easily and with pleasure understand all the innovations and additions, but the “majority” does not mean “all”. We want to please all the players with a new interactive system of hints and notifications. General information about the server features and add-ons. Where to level up faster? What new "buttons" are available to your profession? Fill it with content that will eliminate the gap of knowledge between Interlude - Interlude Final. E-Global - it is always sensational events with the participation of the most famous players and communities of our favorite game. Almost all the players and clan leaders somehow faced each other within the game worlds, so it’s not so easy to create a really interesting war in 2019, but we rolled up our sleeves, did a good job and we are sure that the integrity of the battles on the future server will not leave anyone indifferent. However, our server is not only a big war. Next to the strongest players, organized by groups of 15-20-40 players in each, both mid-clans with "evening online" and solo players perfectly coexist, who can optionally find a permanent group, find a clan that will help and support a lonely warrior on the difficult path or create their own clan with their own rules and lead it to success. The mission that we took as the basis for creating the Interlude Final is to continue to deal with the most beloved chronicles, and at the same time to make a product worthy of your attention in 2019. We work hard to make you satisfied with the result. The total number of changes and improvements that have been developed and integrated into the game over the past year. Their goal is to make your game more comfortable, interesting, varied and return the long lost balance of good old chronicles. In order to get acquainted with the main changes, we recommend you to learn this topic: Interlude Final Update Chronology (topic coming soon). But they will all be intuitive during the game. The so-called signature of the project, its unique features that personalize and set E-Global apart from others, regardless of which version of the game and on which rating we launch. Namely: Achievements, Daily Quests, Clan Unity, Cronus Raid Boss, NPC Adventurers' Guide and Butler, a proxy server access system that allows players from China to play on the server, and even the general “breach of good manners" - everything goes from server to server, improving and adapting to the realities of the concept and your expectations. The concept of a specific server: its rates and features; its uniqueness and originality. In this topic, we announce the server concept and describe the components of Interlude Final which you should pay attention to, in order to fully touch this game world. Premium Account provides +30% personal EXP bonus and 50% SP bonus. Starting from 78 level of monster - fixed rate x3. Premium Account provide +25% to amount of Adena and Seal Stones. Starting from 78 level of the monster - fixed rate х3. Premium Account provide +25% to drop rate. Premium Account provide +25% to the chance of receiving items (to character, who have spoiled => gather spoile). We remind you that the Manor system dependents directly on the Siege, respectively, the first seeds will be available on Monday, April 22 (if the owners of the castles put the seeds for sale). Alliance with Varka Silenos - х2 q-ty. Unique tasks that can be done every day. Can be taken from the NPC Adventurers' Guide in towns, next to the Gatekeeper. Seductive Whispers (Adena and Enchantment scrolls) - items drop х1, reward х1. We remind you that there are basic penalties on Interlude Final when hunting for mobs much higher than your level. This system suggests that if previously it was not profitable to exp only on monsters significantly lower than your level, then now it is not profitable to hunt monsters much higher than you in level. Autoloot - available upon availability of relevant Agathions. Auto-learning of skills available up to level 40. Spellbooks are not required to learn most skills. Offline trade is available from the server opening. 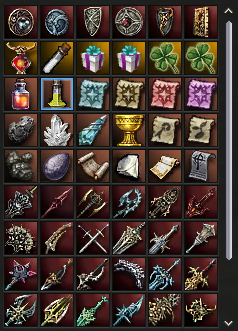 48h by using special Offline Trade Scroll, (at Family Store Butler for 50.000 adena). You can run off-line trade in special locations in side of the towns by purchasing scroll, start your private store and log out from the game. Character will stay on offline trade untill the end of scroll time-limit or until server restart. Amount of client boxes from 1 PC is dynamics. On the start - 3 boxes. For players that uses PA can load +4 box, but not more then 7 (+1 for each PA box). Off-line traders doesn't count as a box. Clan Hall - starting bet and rent rate has been increased in 3 times, available only for clans that reached level 5. Characters will increase PvP counter for kills at Siege zone. Free teleports up to level 40. 1st and 2nd profession can be purchased for 150.000 and 2.000.000 adena (from NPC Family Store Butler at Classes section). The third profession, Subclass and Nobless - can only be obtained by completing complete quests. We remind you that there is an alternative way in the sub class quest instead of hitting Baium - you need to paint 30 fabrics (selecting the desired item in the quest dialogue in Hardins Academy). From the start of the server, the canonical "Interlude" system for selling equipment from the NPC is valid: D gr. for adena, C gr. in Luxor for crystals. The assortment will be updated to the current versions from the patches IF 1.1 and IF 1.4 (fully all D and C gr. for adena, B gr. in Luxor for crystals) as the server develops. The nearest update of the assortment will be available no earlier than the appearance of the first mammons, on April 15. Labyrinth of Abyss - time zone for a group of 7-9 players (from 24 to 80 levels). Our attitude to software and RMT. Pets can be evolved! When level 55 is reached, Wolf becomes an excellent helper in any fight, and Kookaburra becomes an indispensable companion for any mystic. When enchanting A and S gr. 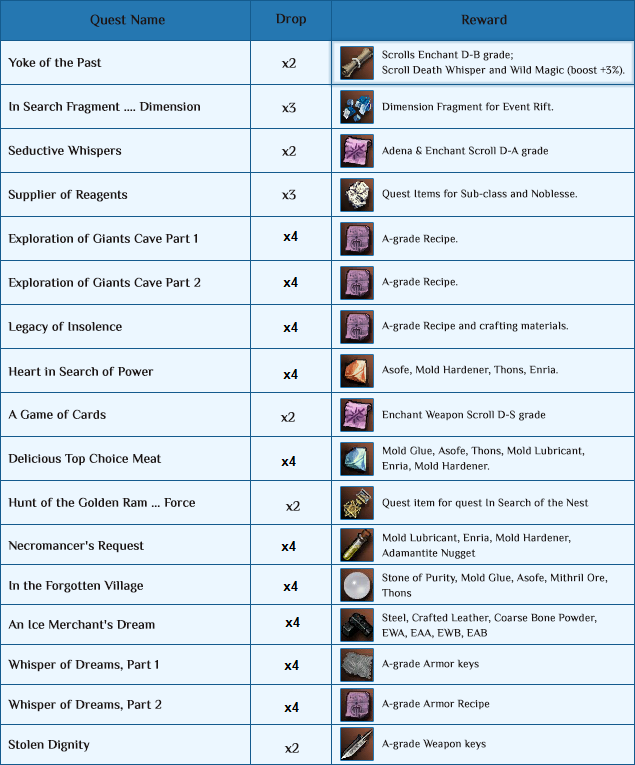 sets from +4 and above - new OE bonuses become available. When crafting weapons and armor B / A / S gr. - there is a small chance to create a Rare item. Rare elements of armor give small bonuses depending on the set bonuses. Weapons - gives a bonus, depending on the type of weapon. S gr. sets can be modified to Class Sets. They give their unique bonuses, depending on the profession of the owner. Fort sieged are available for clans starting at 4th level. There are currently 9 forts available, one for each territory. The phased discovery of group hunting areas for high-level characters: Forge of the Gods and Primeval Isle. These two locations are only partially opened at the start of the server, and monsters will populate the spots as the conditions are met. The ability to display HP bar players, pets and monsters on the screen (under the nickname). Alt + Click shortcut will remove unwanted buffs. Over + bers? problem solved! 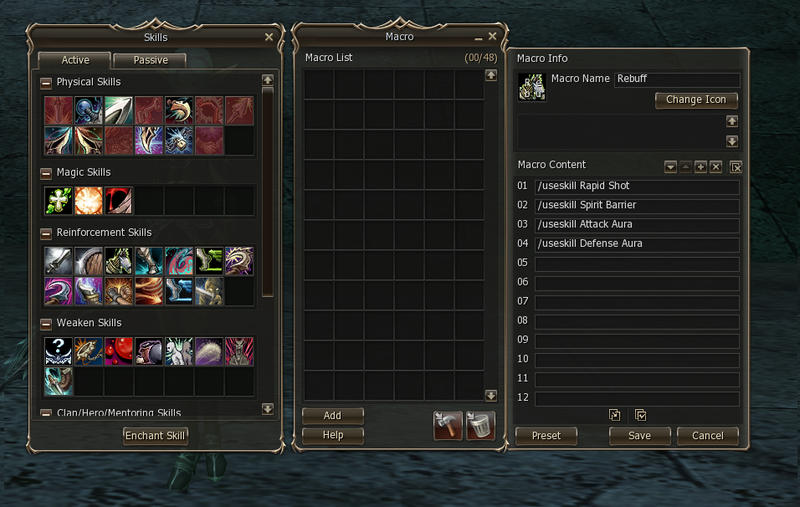 In-game mail, cyclic macros and more. 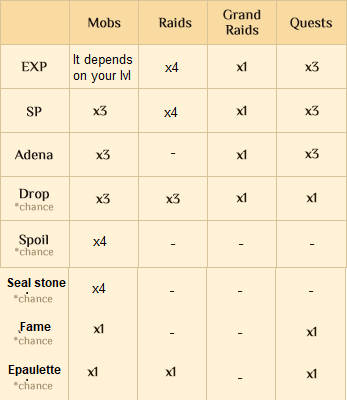 Catacombs and Necropolis are available from the server start withour any registration, however until the start of Event period - there wouldn't be mobs that drops Seal Stones. Clan Halls auction - April 12. Castle Sieges period - 14 days, at Sunday. Item Broker (Auction) - 05 November, after 10 days from the Grand Opening. Barakiel is tied to its spawn point, and if you try to take him away, he will return to the place of his appearance. First respawn is calculated from the moment of start, for example, the first AQ will appear in the interval from 23 to 25 hours from the moment of the server start. Now at Frintezza, Antharas, Valakas, Baium farm zone you can re-log for 10 minutes without automatically teleporting to the nearest village\town. Valakas Nest players limit has been removed. Valakas’s appearance time after entering to him is 20 minutes. The time of Antharas appearance is 30 minutes. At the Devil's Isle "tongue" Zaken's Teleporter has been added, which will teleport you under the bridge (near the ship). The rules of entry to Frintezza have been changed: the entry of CC is not immediate, but within 30-60 seconds from the moment you press to enter. If during this time the CC leader (the character who gets group inside) dies or moves away from the NPC at a distance of> 1000, entering will be canceled. Core and Orfen drop rate has been increased to 60%. Battles 3 x 3 will be available only on Saturday. Blessed Spiritshots of all ranks, including those for summons, work at the Olympiad. Hero's Cloak. This is a temporary personal item that has only 1 built-in bonus: +744 CP, while other cloaks can be unsealed to CP, HP or MP at the request of the player. There will be 5 types of achievements from the start: : Levels, Subclasses, PVP+PK, Online, Olympiad. Rewards for every achievement has been designed to help to build your character. The list of the rewards will not be published on forum or any. Why the list of the rewards will not be published? Achievements - is a new gameplay that will entertain players, ring a changes into the default development of the character and that's why we want every player unlock it and find the reward by themselve. All further updates of the achievements rewards will not publish as well. There are also some hidden achievements that are not displayed in the achievements, however the will appear once you will unlock it by complete necessary conditions (blindly). Repeatable: For example: be logged in for 1hour. Guaranteed. A unique color title. To use such system - type .achiv in the ingame chat or press on "start" tha your CP/HP/MP bar. Time for new feat: reach 80 level. to win 3 and/or 5 times in a row, participating in the Olympiad. to win 5 and 10 times, participating in the Olympiad. Daily achievemnts. Re-logs doesnt count. PK count have a static counter for achievements and statistic. So even if you reset your PK counter - achievement system (as well as portal statistic) will know the true amount of PK count. What does it mean and how to obtain rare item? When crafting items of ranks B, A, S - there is a small chance of creating a rare item (~5%). Rare items give small but pleasant bonuses, relative to the usual ones. Both weapons and armor can be rare. The exception - upper body / fullbody - can not be rare. Rare parts of the set can replace the usual, while the set bonus remains. For example, wearing a rare DC helmet with a robe and ordinary boots and gloves - the set bonus will remain, but besides this there will also be a small bonus from the helmet itself. Learn more about the creation, unsealing and bonuses of rare items. These are unsealed, ordinary or Rare items. Even if Helmet, Gloves and Boots are rare - you will still receive Set Bonus. If you have items with different level of enchant - bonus will work on the lowest level of enchantment item. Bonus will be from +4 level, because the lowest part of the set - Helmet +4. If it will be enchanted for +5 - it will fit the Robe and the general bonus will be +5 level. When OE Armor is equiped - the maximum amount of HP increases, but is not replenished. There is a chain of quests in the modified location Sillent Valley that will allow you to increase the level of trust with the Giants race. In return, they will offer you to exchange evidence of participation in the war with their fallen brothers for their valuable knowledge. You can get a special breastplate as a result of the quest items exchange that can be obtained from the monsters living in the location, which can be added to your armor making it "classified". Draconic Leather Armor can be improved for classes (which have the passive ability of Light Armor Mastery) to get bonuses specially designed for each class group. Note: After it receives the status of Archer Mastery, no other class will be able to wear this part of the set except the class of archers. Pots are going to use until you will recover enough. For example if you set CP Potions - it will recover untill you will have 80% of CP. Cooldown - regular. This is a rather “smart” structure of automation, for example, during Hide (daggers' skill, giving them temporary invisibility, terminating after applying any skill or pot) - the use of pot stops before you Hide off. Cyclic macros differs from regular in that it can be toggled to persistent work (repeat constantly). If during cyclic macros work you will make any action (like moving, chating, using items etc) - the work of the macros will be stopped. Only exception: you can not add macros in macros (by shortcut etc). We optimized and improved the work of macros. 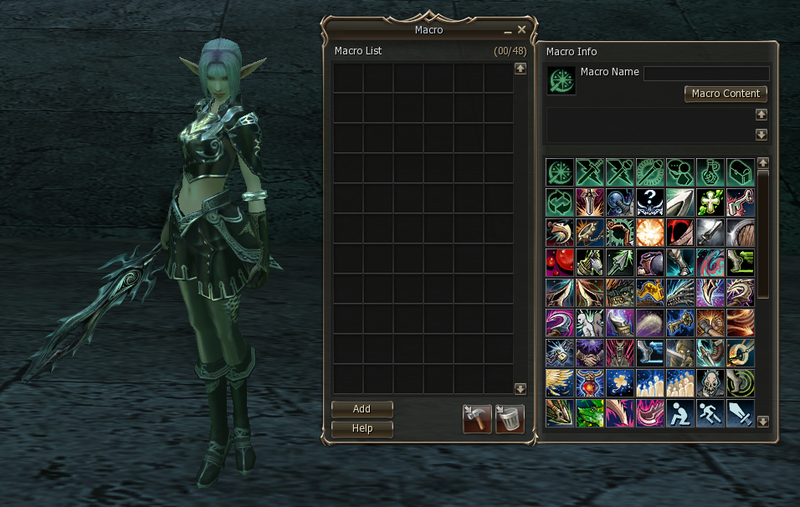 You will be pleasantly surprised by creating, editing and displaying Macro actions! 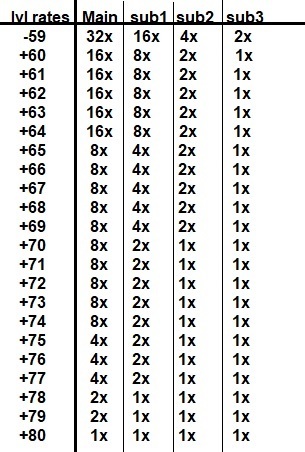 Zaken - instance zones for 7-9 players of 60 levels, and for 7-9 players of 75+ levels. At the same time, the classic Interlude Epik Boss Zaken and the specifics of his farm remained the same. For example, in 78 and 81 Laba's - instead of the usual DB and fists you can get the Best A-grade weapon, also known as a weapon from Primeval Isle (yes, it exists!). By completing simple quests, you can get Zaken's Cloak - an item that customizes your character, which can be unsealed to certain characteristics, and "Broken Zaken Earring" + ingredients for its improvements. You can find more about this Instance Zone, its features and rewards in a separate topic. The combination skills changing, adding daily quests and instance zones work on the social component of the game, first of all. There are two new NPC: Pathfinder Worker and Capitan. Gludio, Captain Bathis - Kamaloka 23 (players 20-28 lvl.) and 26 levels (players 21-31 lvl.). Labyrinth 29 level (players 24-34 levels). Dion, Captain Lucas - Kamaloka 33 (players 28-38 lvl) and 36 levels (players 31-41 lvl). Labyrinth 39 levels (players 24-34 levels). Heine, Captain Gosta - Kamaloka 43 (players 38-48 lvl) and 46 levels (players 41-51 lvl). Labyrinth 39 levels (players 24-34 levels). Oren, Captain Mouen - Kamaloka 53 (players 48-58 lvl) and 56 levels (players 51-61 lvl). Labyrinth 39 levels (players 24-34 levels). Schuttgart, Captain Vishotsky - Kamaloka 63 (players 58-68 lvl) and 66 levels (players 61-71 lvl). Labyrinth 39 levels (players 24-34 levels). Rune, Captain Mathias - Kamaloka 73 level (players 68-78 lvl). Labyrinth 78 (players 73-80 lvl) and 81 levels (players 76-80 levels). All characters buffs, except Adventurers' Guides buffs will be removed after you've entered this instance. 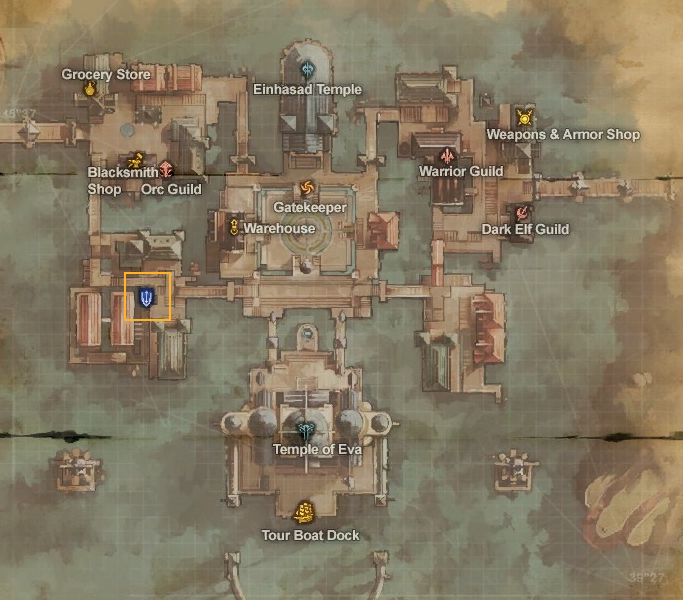 There is high chance of Herbs drop inside of this zone, such as buffs, HP and MP recovery. At Family Store Butler and by taking part at some events you can receive a special item, which can remove the delay, but it can be used only once a day. In case if your character will die during the instance - don't worry, you can always re-enter, however time to farm the zone will keep going even if you out of it. Don't waste your time! When 20 mins will gone - monsters will disappeared and NPC Pathfider Worker will show up and you will get your reward, depending on what rank did you get. The more monster you've killed - the higher rank you will get - the better reward you will receive. There are 3 times of monster inside that appears when you hit the mob by 2/3 of his HP or you have made a one hit kill. Overhit will increase a chance of appearing. But basicaly there is a simple logic: the faster you will kill them - the higher rank you will get. Reward: Elixirs of Mana and Health, HP potion, Enchantment Scrolls etc. Also don't forget about Daily Quests related to this instance zone. The reward will be unique Rune of Exp +30% from 20 mins to 1h. Duration depends on your rank as well. Receive your reward - PROFIT! Kamaloka "Hall of the Abyss" has been designed aspecialy for small groups. Its a special room with a mini Raid Boss in the center. Only Party Leader can teleport party inside on the Instance Zone, also he can decide what level of zone you will face. In case if any party member has left from the zone (made a relog or move to the town after the death) - he can always teleport back by pressing the same dialogue item as Party Leader at the start. If the level of at least 1 character is behind of the limits of choosed Kamaloka - no one from the party will enter inside. All characters buffs, except Adventurers' Guides buffs will be removed after you've entered this instance, so you need to think carefully during the party setup preparations. You will have 20 minutes to kill the Boss; you will receive a special message on the screen when there will be 5 mins left. When the Boss will be killed - he will drop a some useful stuff, such as key-parts, weapons, armors and other items. Also every member of the group will receive a lot of EXP, that you can comparing to regular RB. In case if you didn't make it intime - don't worry. You can start once over again. There are 9 mobs in the first room. But there is only one key-monster, all other will spawn back after you will kill them until you have killed the right one. Its not that easy just to go through this room, because mobs are respawning very fast and they also have pretty big damage. We can suggest to pull mob after mob from the room to your teleportation position and kill them when they far enough from the rest of the mosters group. The most effective way to find the key monster is to use dagger skill Lure (52 level) or by skill Betray (level 56) of any summoner. Dagger can lure\bait monster to come alone, summoner - can use Betray on monster and make him to hit the key-monster. If you will use Betray on key-monster - nothing will happen. When you will kill the main monster of the first room - the P.Def of the Main Raid Boss of the Instance zone will be decreased by 1/3. Also you don't need to kill all other monsters - you can just move along the walls to move to the next room. In this room - all monsters are real. After you will kill all of them the M.Def of the main Raid Boss of the Instance zone will be decreased by 1/3. Melee or Archers usualy skip this room by moving along the walls. At the last room there is only 1 strong mob, who affect of the main Raid Boss damage (by 1/3). This mini-boss deal a tons of damage, usualy even more then main Boss at the 4th room. We recommend to use Ultimate Deffens at the start ta make a good aggression points on tank or SWS\BD. At the fourth room you will find the main Boss and 4 guards: 2 fighters and 2 healers. The Boss doesn't have big damage, however he will reflect some of your damage back to you. We want to mention this to all orcs - be carefull! Lok'tar ogar! When the Boss will be killed - he will drop a some useful items as well as provide with big amount of EXP and SP. Clans - is the social basis of the Lineage 2 game! Clans can be developed up to level 9 (an increase in the number of places in a clan, an increase in the ranks of clan members). When clans are in an alliance, the logic of the work of buffs and debuffs for alliance members is the same as if they were in the same clan. Siege Forts are available in the game, it allows you to capture a kind of tactical fortress posts that have an average between CH and Castle value. All Clan Leaders have an editable clan announcement window. Command: .pledgeannounce. The interface of the clan menu has been improved, this allows doing routine actions like installing and changing the clan's badge much more convenient. There is no penalty for the dismission of members from the clan Academy. As the server develop, the Basements will be activated - the instance zones available to the clans that control Forts and Castles. Clan cloaks are available to members of the clans who own Castles, they visually customize characters and give nice bonuses. In addition to the common privileges of playing in a clan, we also added another very useful advantage for the characters that are members of the clan. The buff is automatically applied to all members of the clan every 5 minutes. The duration of the Clan Unity buff is 5 minutes. The buff is applied on all guilds and academies. The buff does not occupy a buff slot. The buff does not work on Olympiad. 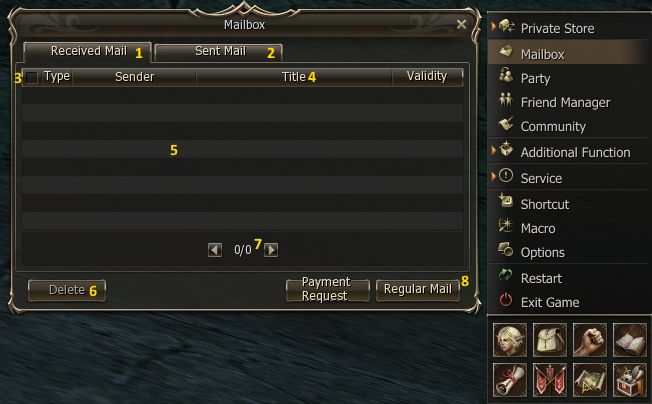 Special for your comfort we have adapted a ingame Mail system special for Gracia Final. By using this service you will have a way to send a items or message to anyone from any place. Send/Receive mail available only in peace zone. Payment Request - pay on delivery service. At the mail sender will set the price for item(s) that is(are) attached and receiver will not receive the items until he will pay announced fee, which will automaticaly transfered to sender. Validity. Regular mails will be kept for 15 days. Pay on delivery mails will be kept for 12 hours. 8 - "Send mail". Button to create new mail. NPC Family Club Manager (improved analogue of Newbie Helper) can be found Near Gatekeeper at every town, as well as at places where a lot of players are getting together. These are NPCs from which you can take Support Magic, Daily tasks and rewards for them, as well in the future they will be responsible for holding weekly Events and issuing Prizes. 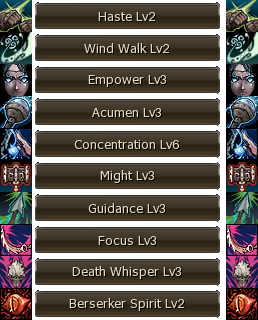 The list of available Buffs and their levels depend on the level of the Character and the presence of a Club Card. Are being removed using Alt-click on them. You can create buff profiles. 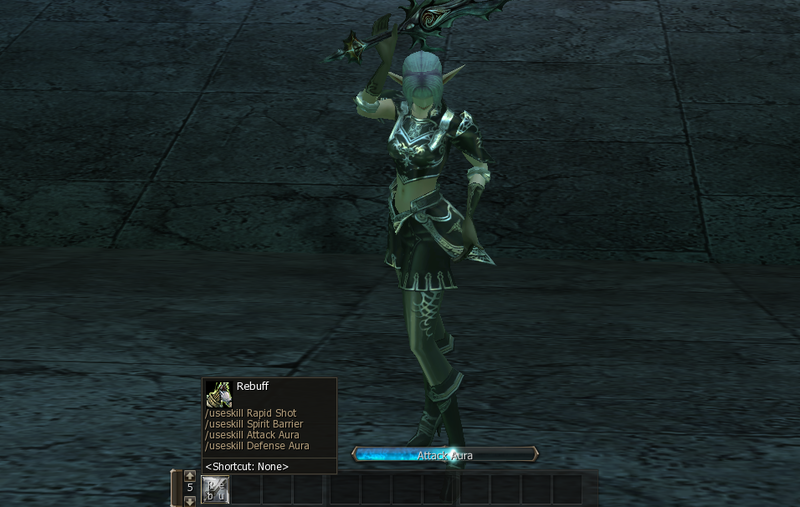 Buffer is available for all players level 1-62, with a Club Card a player can get buffs up to level 80. More detailed list of available buffs will be announced a bit later, however you can say for sure: there will be no 3rd class skills, songs and dances. We have prepared personal daily quests, which will provide some useful bonuses for your character. Some reward has a time limit as well as they are personal (can not be trade). Ivory Coin - 50 q-ty. Nobless Scroll (48 hours limited period) - You will feel Blessing of Noblesse effect on your after you use this scroll. Duration: 60 mins. All effects (buff\debuff etc) will still affect on your character after it's death. Scroll effect will be removed. Ivory Coin - 35 q-ty. Ivory Coin - 40 q-ty. Type: Group, party or solo. Goal: Collent 50-250 Shard of Evil from monsters. Amount of items depends on the level of chosen location. Player can choose only one quest per day, depending on your chracters leve\fitable location: 1-19, 20-29, 30-39, 40-49, 50-59, 60-69, 70-75, 76-80. Mechanic: For every level there are 2 location for your choice. The list of the monsters is also available at quest description. Ivory Coin - from 50 to 200 q-ty. Amount of coins depends on the level of chosen location. Ivory Coin - event currency, which you can receive by taking part in events and daily quests etc. Ivory Coins - are personal, can not be traded. At the server Grand Opening the assortment of the Ivory Store can be considered as symbolic with only consumble items. It has been done to not involve on starting race. However it's an dynamical process and assortment going to be updated due to the server stage. For Ivory Coins you are going to be able to purchase personal weapons, Runes and other useful items. There was 7 updates of the store during a 7 month. During the server we are going to make different events: unique or regular, manual or automatical, for solo players or for groups. We will announce the events on the forum, stay tuned! Before and during the OBT the assortment of the shop could be changed. Stay tuned! Family Coins - can be traded, also you can set a private store on buying and selling Family Coins. So as all Shop assortment is available ingame you can get them. Currency of the Family Coins is stick to the currency of rubls to euro. Personal, PA must be on spoiler himself. On the start - 3 boxes. For players that uses PA can load +4 box, but not more then 7 (+1 for each PA box). Off-line traders are NOT counts as a box. 1 time per day + access to special quest in this reward. How to check if you have Permium status or not: system message when you log in to the game will show when PA is going to end. Also you will have the golden frame at your level parametr. You will be able to use magic support after 62 level. More buffs, higher level on the same level of character comparing to regular assortment. Fast rebuff for you on your pet / summon. Global chat once at 5 mins (by using symbol ">"). Teleports to hard-to-reach location by Global Teleports. More detailed description is going to be announced a bit later, before OBT. More detailed description will be available at the separate thread before OBT. Exclusive way to receive some of unique items, such as Riding Mount, Rune of Experience and SP, Family Ring. Barbershop, tattoos, pircing, scarification, piercing, manicure, pedicure, skin peeling, depilation, tanning and so on. Clan reputation scroll - tradable item that can use any clan member. 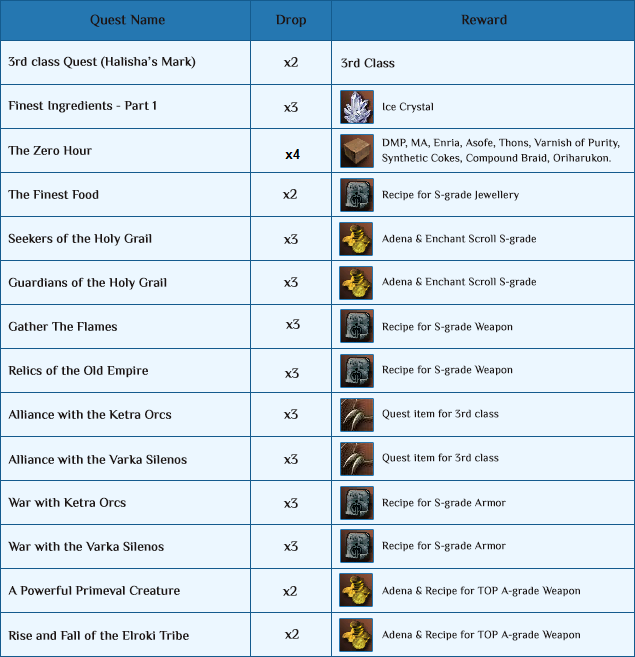 Reward for 3rd clanss transfer: 5.000.000 Adena, 2 Giant's Codex, 1 Giant's Codex - Mastery and 1 Giant's Codex - Discipline or Giant's Codex - Oblivion. More detailed info regarding assortment going to be announced a bit later, before OBT. Bracelet with funny Agathion - it will fly near you and make you look cooler as well as provide you with Autoloot benefits! 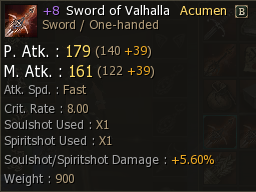 To activate autoloot all you need is just put bracelet on your character. That's it. Summoning Agathion is not necessary. Price difference is due to it's look and uniqueness. So Bracelet for 25 or 150 - will provide you with the same bonus. 1 Family Coin + 1 White Fabric за 1 шт. I come from playing in classic l2 revolve but in the last update I ended up being p2w, I have many people waiting for this server, I wanted to know how many accounts can be connected by computer, thank you very much !. how the rates were modified, so that the items could be made much more easily, to balance this more, and not become like the "PVP" servers that all walk with weapons and armor +16 =), the difficulty will be increased of enchand's success cup in the weapon, armor and jewel. example; the rates of the quest to draw weapon is (3x) and to balance the enchand's success rate will be divided between (3), if the success rate for enchand is 66%, now it will be 22%, to +4, +5 will be the retail success cup. We postpone the launch date to 2 weeks, this is April 5th. Server Rates changed from x3 to x7. A number of conceptual updates require our help. We apologize for such changes. Hope you undestand we want to lauch server with the highest quality. When we can read more about this server? Or is this somewhere on forum and i didn't find it? I mean full rates, donate info, dualboxing info, quest setup, etc. The 2nd comment was updated: detailed server description was added. Oly ring is very similar to AQ, which will give a lot of boost to physical classes. We've been used this shop at 2 servers and pretty much everyone was satisfied with the balance. the jewels last 7 days, it would not hurt to increase their cost, but they should not remove it, because each epica benefits "+" or "-" each profession, removing it is to benefit the professions that do not depend on the normal blow, this does not mean that A magician can not use it to protect himself from "hold attacks". I mean they can not say that they take it away because a character with that ring is unbalanced! What is your thoughts on returning olympiad ring back to the list? Maybe it's better to increase cost or decrease some stats of the ring?